Hello, everyone! The year of 2017 is quickly winding down as we all are getting ready to celebrate and ring in the new year. For those keeping track, 2017 saw a lot of movie releases, with some that were box-office success, some that were big time flops, and some that were just mediocre. In the coming weeks, I’ll be posting my personal top ten “Best” and “Worst” lists of 2017 movies. Be sure to check them out! Moving on, the start of 2018 is about to begin and this year looks to be a very promising for movies, ranging from several different categories and genres. Now, on the twilight eve of 2017, here’s a look at my top fifteen most anticipated movies of 2018. London Calling! Based on the four books (Mortal Engines Quartet) by author Phillip Reeve, this movie looks to be quite an interesting feature, telling a dystopian tale that seems to be a mixture of a Mad Max film and steampunk version. While the teaser trailer for this movie, which is directed by Christian Rivers and produced by Peter Jackson, is short and a bit vague on the film’s overall narrative, it does a good job in “teasing” a viewer on what is to come at the end of the 2018. All in all, Mortal Engines has potential as (I assume) that more of this post-apocalyptic world will be revealed throughout the course of the 2018 year. While The Hunger Games film franchise was completed in 2015 and the Divergent Series ran its incomplete course in 2016, the Maze Runner saga took its time, planning a 2017 release initially and then delaying it until 2018 due to an unforeseen injury from lead star Dylan O’Brien. Now, after several since its second installment Maze Runner: The Scorch Trials was released in 2015, the third and final installment is going to be released (The Death Cure) and, judging from the trailer, it looks to be a very promising conclusion to the tell of Thomas and the rest of the Gladers. Personally, I’m looking forward to seeing this movie and I hope that this cinematic franchise ends on a high note….right down to the WCKD end! While Justice League, DC’s much anticipated superhero team up film, was box office and critical disappoint that failed to met its expectations, it did bring several DC characters to the big screen, including the first release supporting role of actor Jason Momoa’s Arthur Curry (i.e. Aquaman). This film will be interesting as it will show the origin tale of Aquaman in his solo feature film adventure. The DCEU has had trouble in showcasing a large ensemble superhero team up (BvS: Dawn of Justice, Suicide Squad, and Justice League), but has faired better in its sole origin films, including the highly praised 2017 film Wonder Woman. Hopefully, this underwater superhero tale of Arthur Curry can help bring the DCEU out of the shadows and produce an entertaining superhero movie. Let’s hope so…. The Kaiju have returned and the Jaeger (and their pilots) are called back into the battle. The original Pacific Rim, which was released in 2013, was the very definition of a summer blockbuster. It was big, loud, and a bit nonsensical at times, but a visual spectacle and a great (and entertaining) popcorn flick. After several years of being delayed (talking of shelving the project indefinitely), the Pacific Rim sequel is finally getting off the ground and back into their city-wide battles. With new characters, new actors (a few return characters), and new Jaegers / Kaiju, Pacific Rim: Uprising looks to be a another great popcorn blockbuster and the potential for a good giant monster / giant mech sequel. Back in 2015, writer / director Alex Garland released Ex Machina, a surprising hidden gem of the standard movie lineup that brought a high-brow / sophisticated sci-fi film of artificial intelligence creation. It proved that the Garland is capable of handling complex storytelling and a promising career in Hollywood behind the director’s chair. 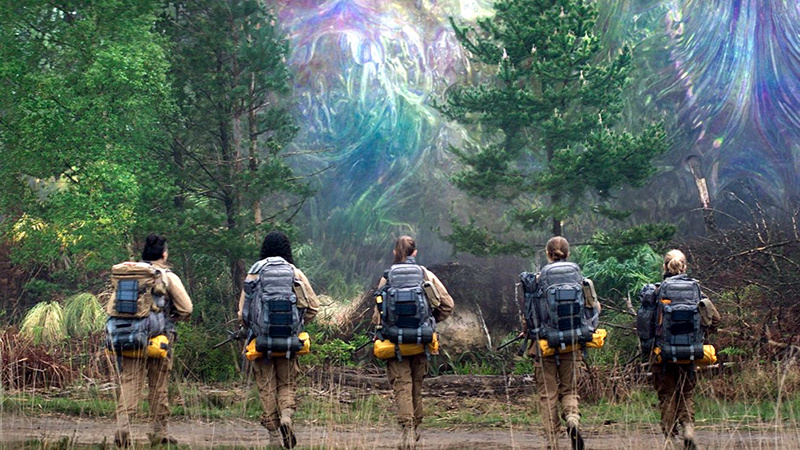 Annihilation, Garland’s sophomore feature and based off the book by author Jeff VanderMeer, hits toward the beginning of 2018 and, while most of the film’s story is shrouded in mystery, there seems to be a lot of intriguing elements to make this movie worth an anticipated glance. With Garland penning the script and behind the director’s chair and an impressive cast (Isaac, Portman, Thompson, Rodriguez, etc.) and a very curious story of a mysterious environmental zone, Annihilation could be a surprising hit for February. Prepare for a journey beyond space and time, beyond light and darkness with the film A Wrinkle in Time. 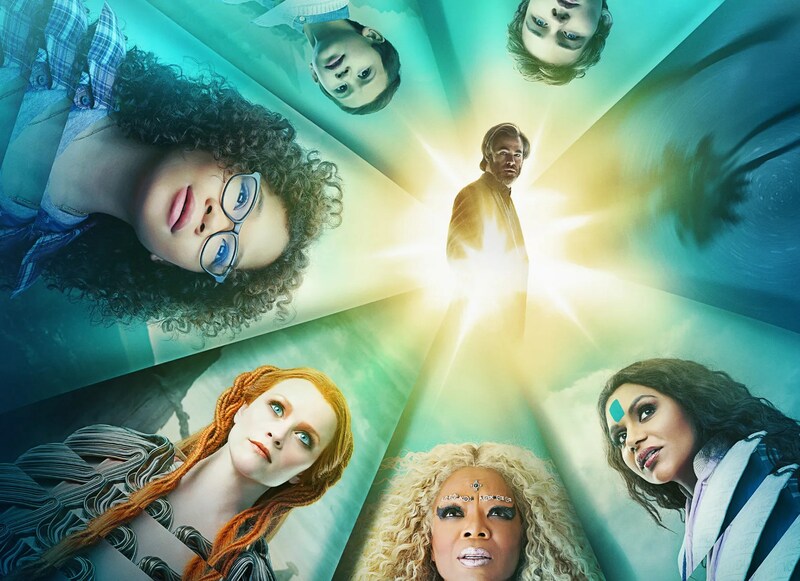 Based on the acclaimed young readers book by author Madeleine L’Engle, this film, which is the second adaptation of the book (the first was a 2003 TV movie), will be directed by Ava DuVernay and will feature the talents of Chris Pine, Oprah Winfrey, Mindy Kaling, Reese Witherspoon, and Zach Galifanakis. The story itself seems quite unique (i.e. dealing with the concept of space and time and the contrast between good / light and evil / dark) and the film’s visual effects looks quite impressive. Personally, I plan to read this book before seeing this movie. Can’t wait to explore this incredible journey. Incredibles, Pixar’s sixth installment, was released in 2004 and was met with critical praise from critics and moviegoer, finding the superhero “Parr” family to be a welcomed addition within the animated world, especially since this was sometime before the big “golden age” of superhero feature that we know of today. Many fans, including myself, desired that a sequel be released, but Pixar had other plans, creating new movies and sequels to other franchise. Now, after much waiting, The Incredibles 2 is to be finally released in 2018, promising the return of the Mr. Incredible, Elastigirl, Dash, Violet, Jack-Jack and the rest of the superheroes in this anticipated animated follow-up. While I never read the original comic book story arc, I remember watching X-Men cartoon series and loved both the Phoenix Saga and the Dark Phoenix saga respectfully. While X2: X-Men United hinted at Jean Grey’s Phoenix powers and X-Men: The Last Stand somewhat introduced the idea of the Dark Phoenix persona within the mutant, the cinematic representation of the Dark Phoenix (overall) was a bit disappointing, with many fans crying out for a true and proper feature of Jean Grey’s Dark Phoenix. Well, in 2018 they will get their wish with X-Men: Dark Phoenix, with many of the First-Class trilogy cast members, including James McAvoy, Michael Fassbender, Jennifer Lawrence, and Sophie Turner as the younger Jean Grey. 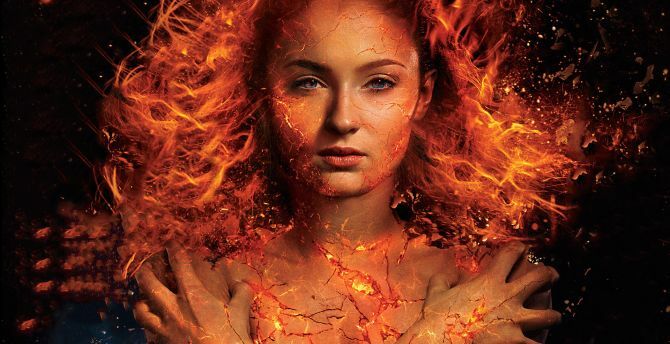 With much anticipation, X-Men: Dark Phoenix looks to be promising, telling a more proper tale of Jean Grey’s incredible power as well as the alien Shi’ar empire. After the mediocre success of the two Jurassic Park sequels (The Lost World and Jurassic Park III), 2015’s Jurassic World was met with great success, returning to Isla Nublar and explore a fully realized dinosaur theme park with new dangers and new characters, including Chris Pratt’s Owen Grady and Bryce Dallas Howard’s Claire Dearing. 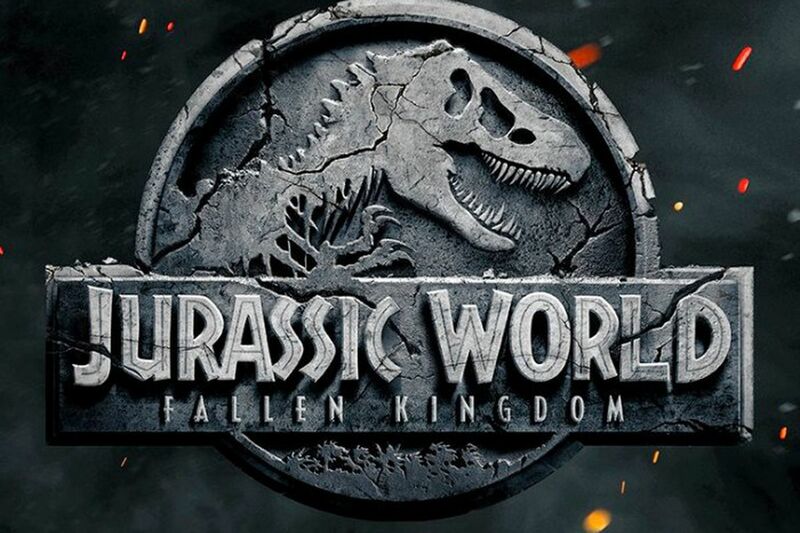 It was a forgone conclusion that a sequel would be released in the foreseeable future as Jurassic World: Fallen Kingdom is set to be released in the summer of 2018, seeing the return of Pratt’s Owen and Howard’s Claire as they journey back to the ruined theme park and task to saving the dinosaurs from destructive volcanic eruption beneath the island. With the clock ticking, Fallen Kingdom will surely have plenty of action, suspense, and dinosaur entertainment. After making his debut in Captain America: Civil War, the comic book character of Wakanda king T’Challa prepares for his own solo feature film in the movie Black Panther. 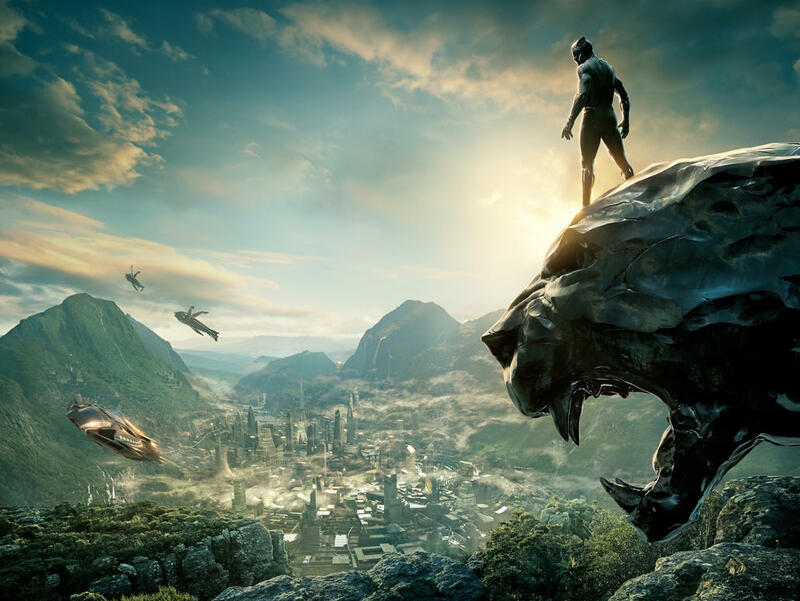 Being the final MCU feature before Avengers: Infinity War, the film will be an interesting one by exploring the unknown country of Wakanda, which has only hinted at in the previous films as well as telling T’Challa story of becoming the new king of the country. Plus, how the movie will work in the final Infinity Stone (i.e. the Soul Stone) into the narrative will also be interesting as well. With director Ryan Coogler helming the feature and with a lot of talented individuals attached to this Marvel project (Chadwick Boseman, Michael B. Jordan, Lupita Nyong’o, Angela Bassett, Forest Whitaker, Martin Freeman, and Andy Serkis), Black Panther has many fans and moviegoers waiting anxiously on its release. Wakanda forever! After the horrible representation of Wade Wilson / Deadpool in X-Men Origins: Wolverine, actor Ryan Reynolds return to reprise the “merc with a mouth” in 2016’s Deadpool. Despite its R-rated rating, Deadpool was highly praises, finding the film to faithful to its comic book counterpoint in its fourth wall breaking, foul-mouth, crass humor, and violent acts. Given its success at the box office and with moviegoers, a follow-up adventure was inevitable, with Deadpool 2 being released in 2018. While much of the story isn’t fully revealed, it has been confirmed that Reynolds will return as Wade Wilson (as well as T.J. Miller as Weasel and Morena Baccarin as Wade’s girlfriend Vanessa) and introducing iconic comic book characters like Domino (played by Zazie Beetz) and Cable (played by Josh Brolin). One thing is clear, Deadpool 2 has many anticipating its release. While many are a bit conflicted on the new Star Wars trilogy (Episode VII, VIII, IX) under the Disney controlled Lucasfilms banner, Rogue One: A Star Wars Story, the official first Star Wars spin-off feature, proved that the series can move beyond the roman numeral entries and to explore the expansive sci-fi universe. 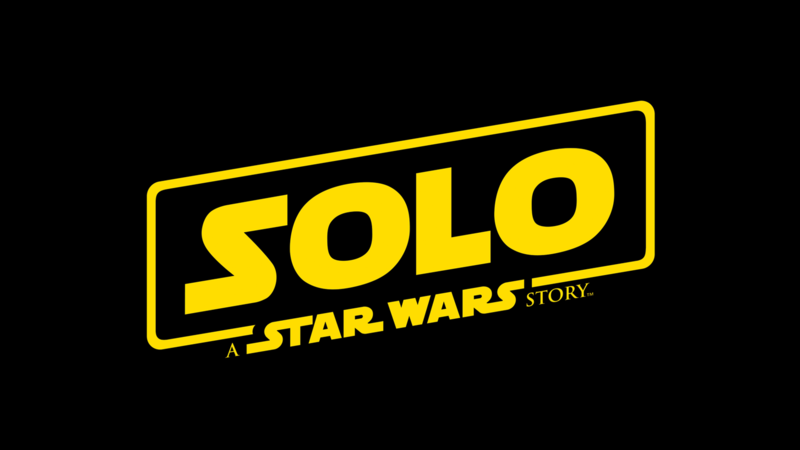 Solo: A Star Wars Story is the second spin-off adventure, following the early days of everyone’s favorite scoundrel smuggler Hans Solo. While the story will be interesting to see, I am curious to see how it all will come together, especially with the firing of the film’s original directors (Phil Lord and Chris Miller) and the hiring of director Ron Howard to complete the film. How this movie will be received will also be interesting as well. Thus, Solo: A Star Wars Story is very much an anticipated film of 2018. Video games and pop culture icons collide in the anticipated film Ready Player One. 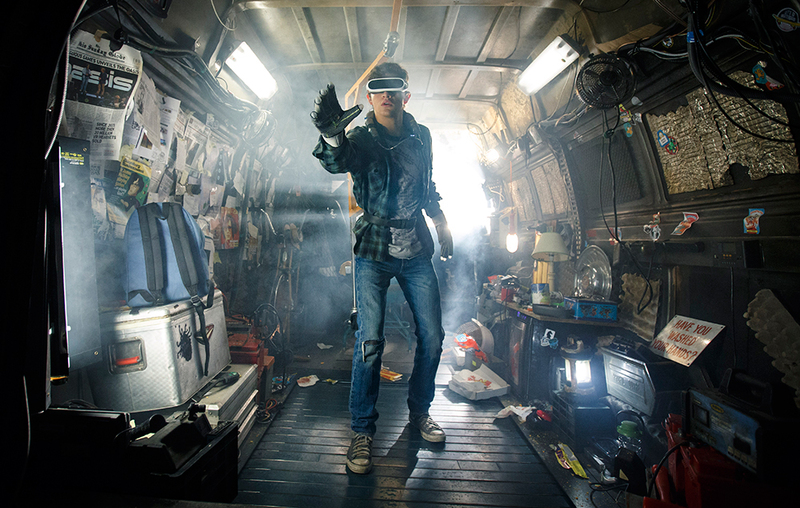 Based on the book by author Ernest Cline, the movie, which is directed by Stephen Spielberg, follows the adventure of Wade Watts as he enters the virtual reality game “the OASIS” as his avatar character Parzival, enjoying escapement within its world as well as facing danger when an unexpected challenge arises over control of the OASIS. Being a fan of video games and several iconic pop culture stuff, I can’t wait for this movie. I have seriously watched the film’s trailers many times (know them by heart) and I’m totally looking forward to seeing this movie. To say that I have high expectations for this movie is an understatement. In short, I’m “gamed” for Read Player One. Let me first say that I’m huge Harry Potter fan. Loved the books, loved the eight films, and loved Fantastic Beasts and Where to Find Them (the first Harry Potter spin-off), which followed the adventures of Newt Scamander in a new time and place from Potter’s journey. 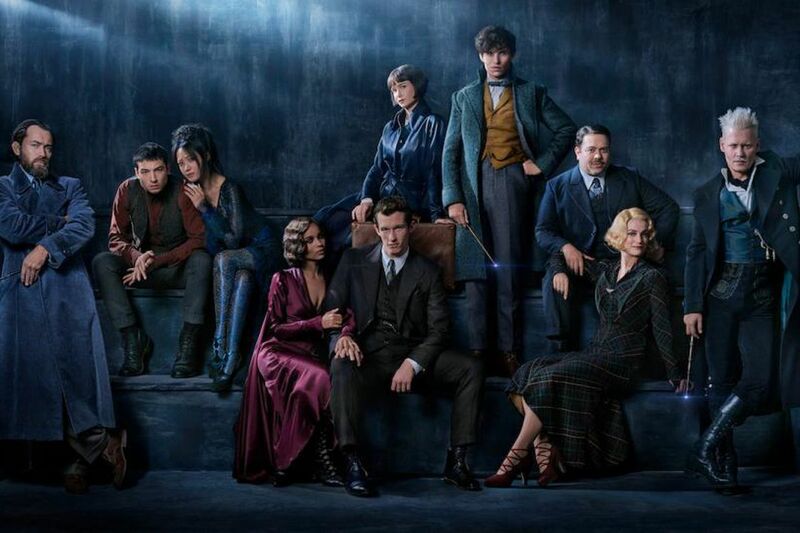 The Crimes Grindelwald, the second Fantastic Beast film has many avid Wizarding World fans exciting, which seeks to continue the adventures of Newt (as well as Tina, Queenie, and Jacob) as they encounter the dark wizard Gellert Grindelwald and seeks help from a young Albus Dumbledore. With director David Yates returning to direct as well as most of the main actors from the first film, Fantastic Beasts: The Crimes of Grindelwald is surely gonna be a magical second helping in this new look at the Wizarding World. There was an idea…to bring together a group of remarkable people….to see if we could become something more…so when they need us, we could fight the battles…. that they never could. Haha…come on…. you knew that this one was gonna be my top pick. Being a huge MCU fan, I’ve eagerly awaiting the arrival of this film, which represents the culmination of this superhero saga since the beginning of the series with Iron Man in 2008. Thanos (i.e. The Mad Titan) and the appearances of the six powerful Infinity Stones have always teased throughout the MCU and now the time has come for the ultimate big showdown with almost all of the established superhero characters (the whole cast of actors / actresses in this movie is unprecedented) to face him. Plus, Infinity War represent the first time when the Avengers team will meet the Guardians of the Galaxy (totally can’t wait for that scene). 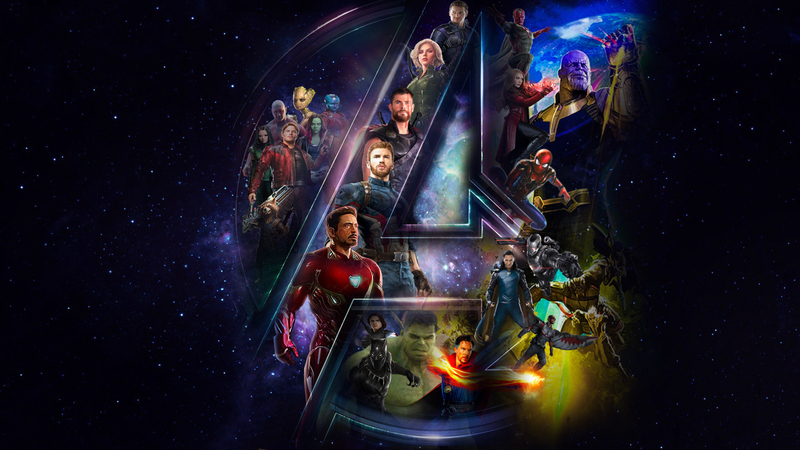 While Avengers 4 has yet to be titled (I presume its going to be a continuation of this movie), Avengers: Infinity War is something that I’m dying to see, with much inherit fanboy hype and extremely high anticipation for this superhero team-up feature. Thus, Avengers: Infinity War is my #1 pick for my most anticipated films of 2018. I’m pretty sure that I forgot a couple of anticipated movies on this list (sorry, guys), but I couldn’t fit them onto this list. So, what do you guys think? What other 2018 movies are you guys excited about? Let me know…. Annihilation the book was genuinely creepy. Source material + Garland makes me pretty excited for the movie. Happy New Year everyone! Annhilation (the movie) was pretty good. Creepy and eerily bizarre, but good. Good list. I’d add Soldado, God Particle, Game Night, A Quiet Place, Venom (even with the no connection to MCU), and Halloween. So, with the year almost over, what do you think of those movies. Personally (of those movies you listed), I thought that A Quiet Place and Halloween were great. Game Night: Maybe the best studio comedy of the year. Venom-Some good, some bad. I’ll give it a slight recommendation because it does do its job and build interest for the sequel. Soldado-I liked it. No way it would exceed the original, writing or direction took a small step back but that’s in relation to no Denis or Johann (RIP). It’s still a strong production, and I’d actually love to see a trilogy ender. Halloween-The pure slasher the horror genre needed. Horror’s been so interesting of late with how it’s pushed genre conventions, was sort of fresh to see base level horror. About as good as they could have done a slasher movie in 2018. Haha…same here. To me, Solo was a bit disappointing, but Marvel killed it this year with Black Panther and Avengers: Infinity War. Great List. Cautiously optimistic for Venom and can’t wait for Annihilation even if it’s gonna be on Netflix. Haha…well…with 2018 almost over. You can now have a good feel for both of those movies. Personally, I thought that Annihilation was better than Venom. I was curious, at the half way point, how have these movies lived up to your anticipation? Haha,,,well…some of them did and other did not.